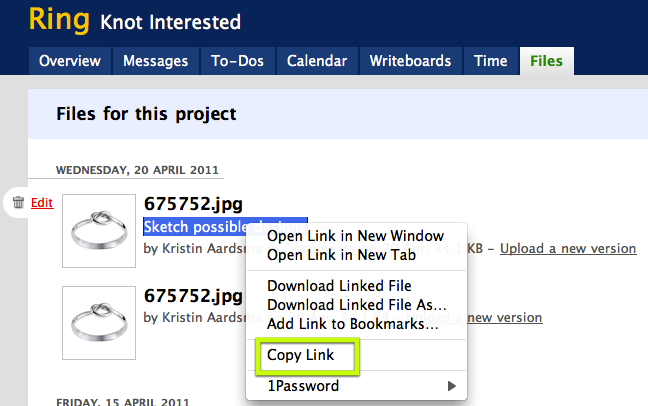 Basecamp Classic: Can I attach a file to a to-do or milestone? Can I attach a file to a to-do or milestone? 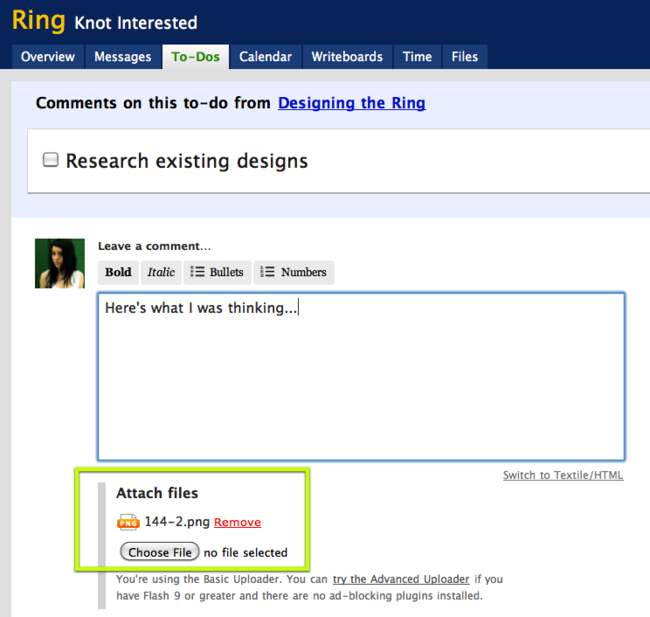 You can easily attach a file to a comment on a to-do or milestone by clicking to add a comment to the item. You can also upload the file in the “Files” section and then link to the file inside the comment or milestone. To do this, right click a filename on the Files tab, and copy the link. Then paste it in the to-do, milestone or comment.